The leptoceratopsids have a beak-shaped jaw suggesting they had a different diet to their western relatives. Image Credit: Milner Centre for Evolution/University of Bath. 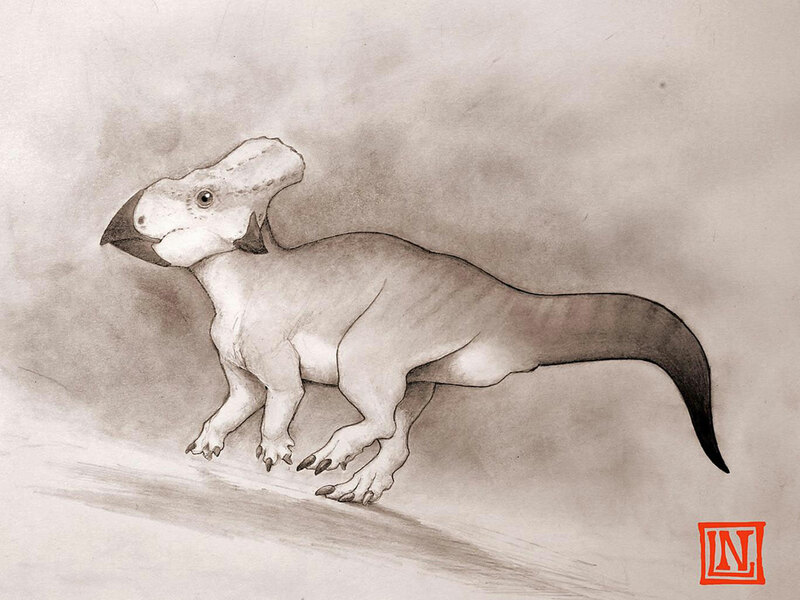 A rare fossil from eastern North America of a dog-sized horned dinosaur has been identified by Dr Nick Longrich from the Milner Centre for Evolution based in our Department of Biology & Biochemistry, at the University of Bath. The fossil provides evidence of an east-west divide in North American dinosaur evolution. Dr Longrich studied one of these rare fossils, a fragment of a jaw bone kept in the Peabody Museum at Yale University. It turned out to be a member of the horned dinosaurs – the Ceratopsia.